Apple on Wednesday took the wraps off of its second-generation tablet, officially dubbed "iPad 2," with a completely new, thinner design, a faster dual-core A5 processor, and two video cameras, shipping on March 11. 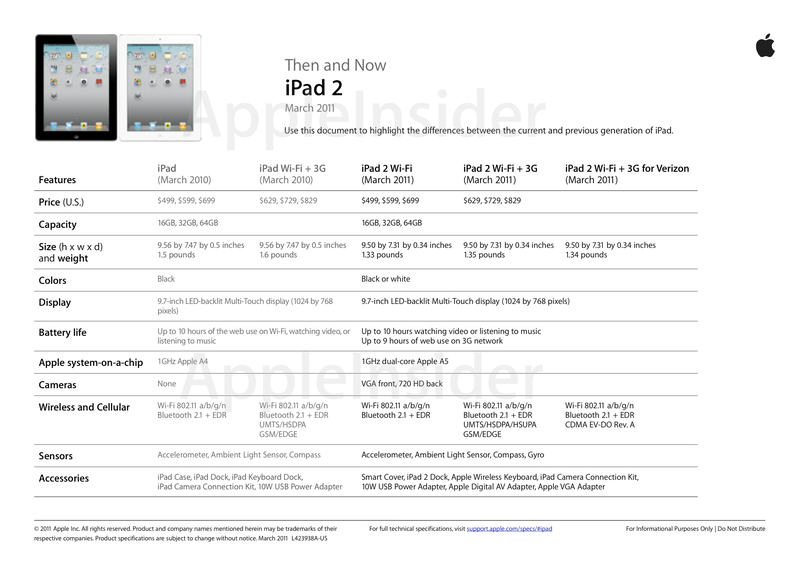 The new iPad 2 is one-third thinner than the first-generation model, just 8.8mm thick, even thinner than the iPhone 4. At just 1.3 pounds, it is lighter than the previous 1.5 pound iPad. It will carry the same starting price of $499 for the entry-level 16GB Wi-Fi-only model. The device will begin shipping in just over a week, on Friday, March 11, in the U.S., while 26 more overseas countries will get the device on March 25. It also has rear and front facing cameras for recording video, taking photos, and FaceTime video chat. 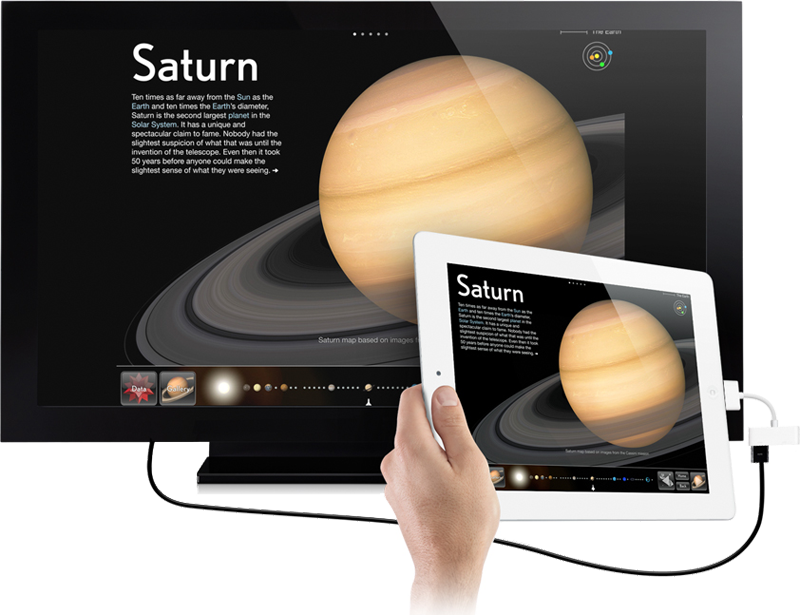 The new iPad also has a new A5 dual-core processor which offers up to 9 times faster graphics processing. Apple said the faster speeds of the new processor will not have any greater power consumption than the previous A4 processor. The new iPad 2 will be available in two colors —black and white —and will be available on both AT&T and Verizon 3G networks from day one. It also sports the same 10-hour battery life. A new accessory cable will also offer mirrored HDMI video out to HDTVs for 1080p high-definition output. The $39 cable allows users to charge their iPad while using the video out feature. Another accessory announced by Apple is a magnetic "smart cover," which covers the front of the device. Covering the front of the device automatically locks the device, while taking it off will unlock it. Microfibers on the screen cover are said to clean the iPad 2 display, while magnets will automatically align the cover on the screen. 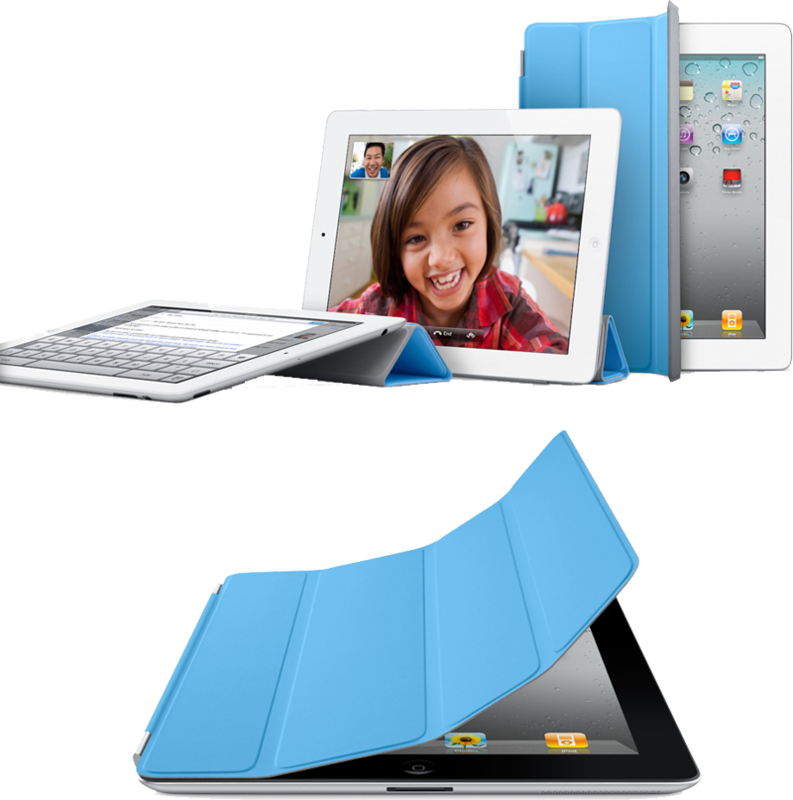 A video demonstrating the abilities of the case, including using it as a stand to prop up the iPad, was shown to the audience. Apple will sell a polyurethane version of its case for $39, and a leather version for $69.